Dr. Johnston was born and raised in Corpus Christi, Texas, and attended Baylor University. After graduating, he worked as a high school science teacher and basketball coach. 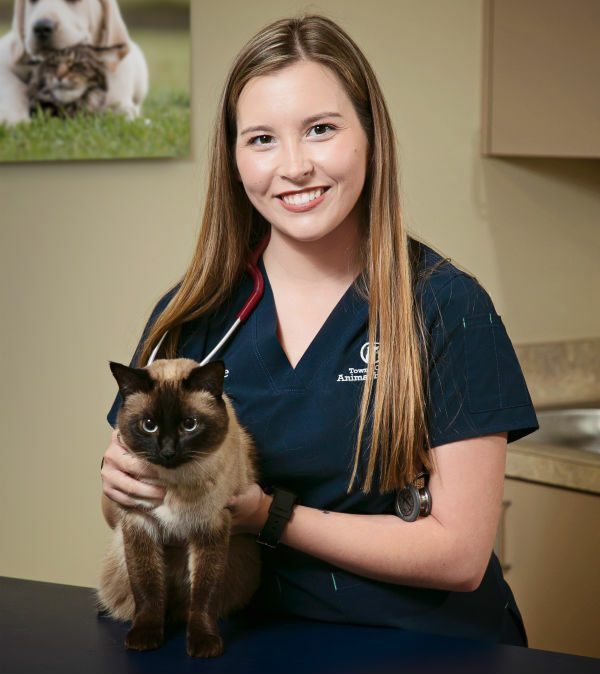 While teaching, Dr. Johnston felt the call to pursue veterinary medicine and attended Texas A&M University in College Station. 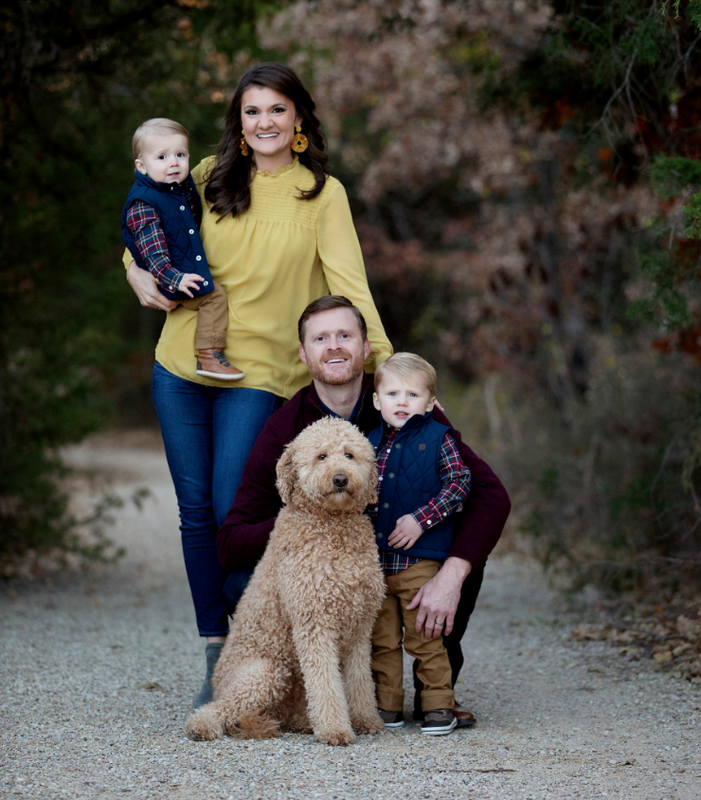 After graduation, he practiced medicine at a five doctor hospital in North Dallas and, in 2016, he became the proud owner of Towne Center Animal Hospital. Dr. Johnston likes blending his teaching background with his veterinary training to educate pet owners about the health of their animals. While he enjoys all aspects of veterinary medicine, his special interests include dentistry and surgery. To relax, he enjoys fishing, playing sports, and is an avid reader. He is happily married to his wife, Lauren, and they have two boys, Cooper and Carter. His family also includes a lively Labradoodle named Helen, named after his Nana. He and his wife have five nieces they love to spoil and three nephews they enjoy getting into trouble with. Dr. Johnston has an identical twin brother who is also a veterinarian in Waco, Texas and a brother-in-law who is a veterinarian in Lufkin, Texas. Dr. Jiar Chang has a love for both medicine and people and is truly committed to the overall health of pets. 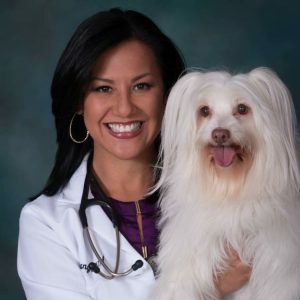 Dr. Chang completed her Bachelor’s degrees in Biology and Veterinary Technology in Puerto Rico and obtained her doctorate in Veterinary Medicine at Colorado State University College of Veterinary Medicine and Biomedical Sciences. She served in the US Army for eight years and held leadership positions in organizations throughout her professional development. She has served 3rd world counties providing public health, helping with infrastructure, and working on the prevention of Tuberculosis on Asian elephants. In addition, Dr. Chang has been exposed to emergency veterinary medicine allowing her to obtain skills and knowledge to address for unexpected health issues in small animals. Dr. Chang enjoys helping clients achieve an optimal level of wellness for their pets by means of communication and education. She customizes comprehensive treatment plans and goals on an individual basis. Her professional interests include small animal medicine, soft tissue surgeries, and preventive medicine. When not at work, Dr. Chang enjoys traveling, outreach programs, cooking, hiking, paintball, dancing, and expanding her personal development and leadership. She also enjoys spending time with family, friends, and her furry-four legged kids. 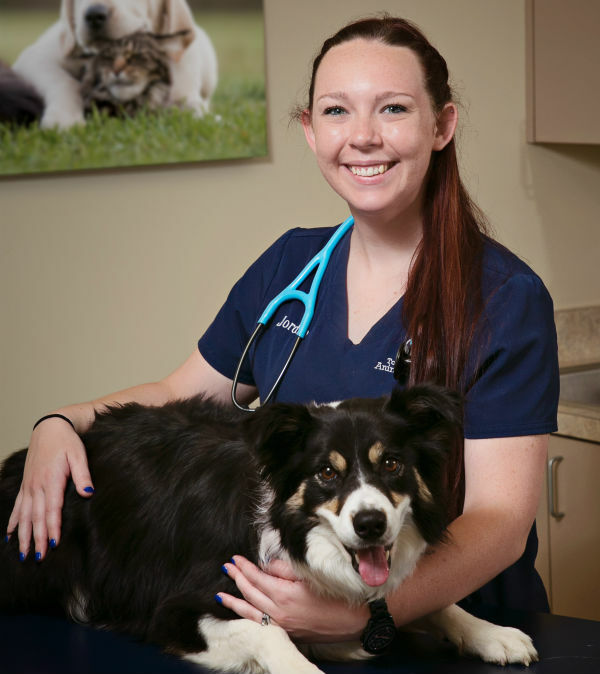 Karlie has been working in vet medicine since the age of 16 and possess a strong love for dogs and cats of all shapes and sizes. She values providing high quality medicine to the many pets that step into the door and loves caring for both sick and well pets alike. Karlie’s true passion lies in surgery and helping pets be the best they can be. When she’s not working, Karlie loves to ride horses, read and also enjoys a great hike. Karlie has one fur baby, Dakota, a three-year-old Siamese cat, who is very well-loved, aka spoiled. Lisa is originally from Grove City, Ohio but has spent the majority of her life in Texas. 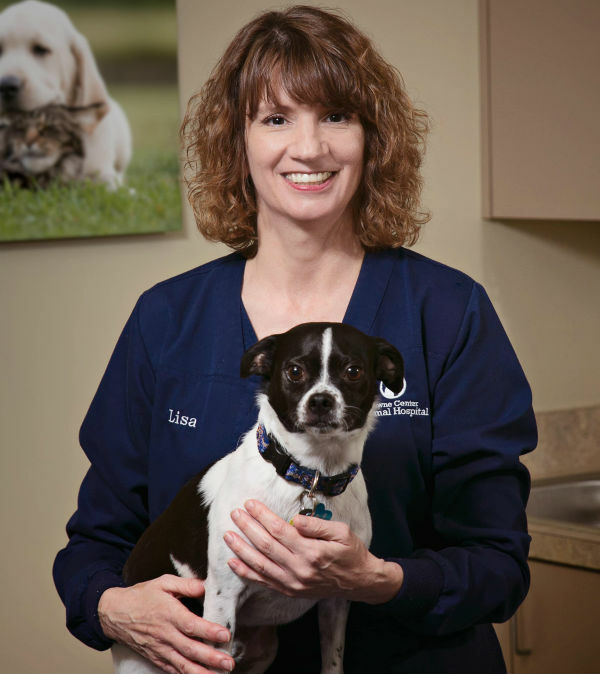 Lisa has her Bachelor of Arts degree from Capital University and truly loves the field of veterinary medicine. Her favorite thing about her job is helping pet owners find solutions to their pet’s needs and she also loves to provide pet travel support to the many dogs and cats Towne Center flies around the world. Lisa loves to take on a good home improvement project and also likes to crochet and read in her free time. Lisa has two children, Joshua and Mary, and is excited to soon be welcoming her first grandchild. Lisa’s pets include three Chinese crested dogs, one chihuahua, a Senegal parrot and three horses. Jordan was born in Killeen, Texas. She attended Northwest High School and then received her veterinary assistant certification from Animal Behavior College. Jordan loves to build relationships with the many fur babies she works with each day and their owners. When she’s not working, she loves to be outdoors doing things like spending time on the lake, enjoying her family or entertaining her dogs. Jordan and her husband, Cody, have four dogs: Dallas, Chinook, Skylar, and Meeko. Each of their four children have quite unique personalities that bring lots of laughter and fun to their family each day.